You need to earn or spend Hilton points every 12 months, which is on the short side. My usual strategy is to use Hilton Honors Dining to earn a few points at my neighborhood burger joint, but I was running short on time. I found that you can redeem Hilton points at Amazon through their Shop with Points program. The redemption ratio is 500 Hilton Honors points = $1 on Amazon. 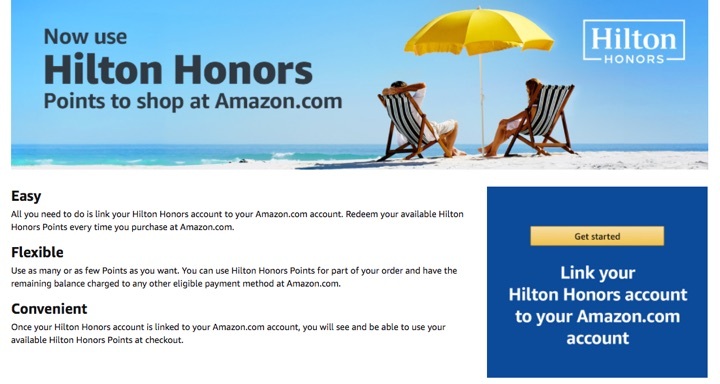 First, link your Hilton Honors account to Amazon. The easiest way to just spend $1 without waste is to buy a $1 Amazon gift certificate. Checkout and choose to pay with Hilton Points. You can redeem the gift code into your account and spend it later. Bottom line. If you have Hilton points expiring soon, you can redeem 500 Hilton points for a $1 Amazon gift code and create qualifying activity that posts the same day. If you are generous with the valuations, 500 Hilton points could be worth about $2.50 to $3 in room rates. 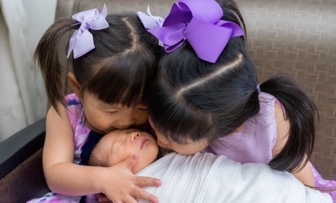 Minus the $1 value from Amazon, and you might consider this a $2 net cost. However, if you have a lot of points expiring and/or limited time, this option can be worth it. BTW, you have to purchase a GC rather than simply reload your balance for the Hilton option to appear, at least for me. Thanks! Is there something similar for Marriott points? Thanks for this Jonathan! Exactly what I needed. Did this today to keep my points alive.